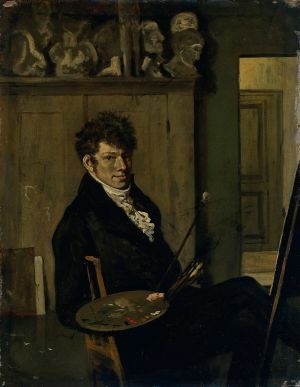 He lived for only 28 years but Dutch painter Wouter Johannes van Troostwijk earned a gold medal from the Felix Meritis Society and is thought to have influenced late 19th Century Dutch painters. Troostwijk was born in Amsterdam in 1782. This son of a distinguished Amsterdam family, was admitted to the Amsterdam Tekenacademie at the age of 21. He studied under the academy’s director, Jurriaan Andriessen. 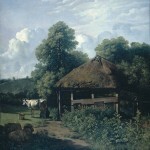 He earned the gold medal in 1807 but was unable to establish himself as a professional artist. 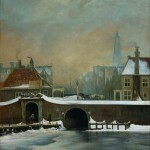 Troostwijk worked in the Amsterdam town hall and was thought to paint for his own enjoyment. His influence stems, in part, from being one of the first to paint en plein air – outside, surrounded by the landscape he was painting. 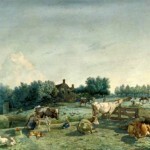 His animal paintings have been compared to Paulus Potter. Troostwijk’s perhaps most well known for his use of color and new methods of rendering the atmospheric effects (how light from the sun plays on the landscape it illuminates).